The San Francisco Bay Area has such a rich culinary history and food culture – everything from ethnic eats to only-here treats – and some of our favorite San Francisco food tours and activities revolve around chocolate. As you can see from the festivals discussed below, the San Francisco Bay Area truly enjoys and celebrates the confection! 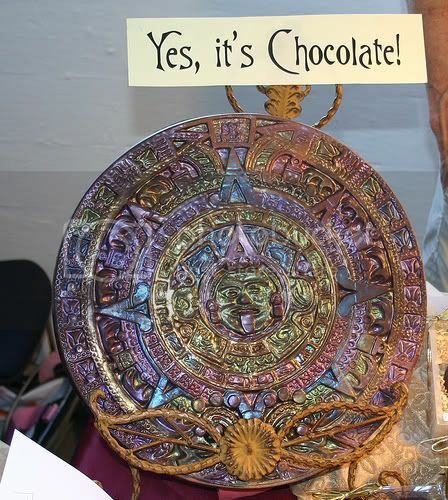 Photo of Chocolate disc at San Francisco International Chocolate Salon by DragonGirl via flickr (Creative Commons).